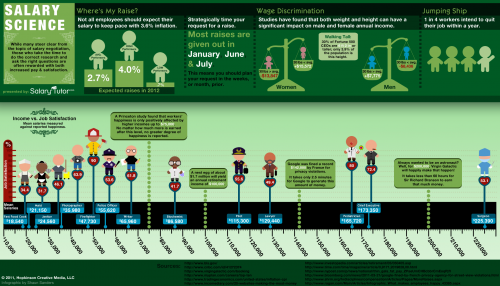 SalaryTutor released quite an interesting infographic focusing on salary negotiation. The most interesting fact here is that $75,000 is the wage at which no more happiness is gained. According to a Princeton study, worker happiness is no longer affected positively after this amount. Most raises are given out in January, June, and July. How Can You Tell If A Company’s Culture is Not For You?